The Wickham village hall is a fantastic family friendly venue available for hire at competitive rates. There is a fully equipped kitchen, disabled access and now Ultrafast pure fibre broadband for downloading and conferencing. There is a Facebook page for the Village Hall which we welcome you to join. If you'd like more information on booking it call Christine on ​01488 608403. We have a couple of pubs in the parish, a cricket club, a youth club and an abundance of trails to enjoy by foot, bike or horse. ​Welford and Wickham Church of England Primary School is a flourishing school, where children come first and there is a high reputation for teaching excellence. The School is committed to supporting children and their families within the school community. Pupils are valued and cared for, ensuring they flourish and succeed. At present there are circa 60 pupils, 25% of whom live in the Parish. The school sits in the heart of Wickham and was built in 1857. It's been extended and altered considerably since it was first built. In 2016 they became the lead partner of the Erasmus Plus programme 2016-2018, joining with schools from Lithuania, Estonia, Italy and Turkey. The programme is centred on the impact that the specific teaching of moral values might have on the children and the wider community. 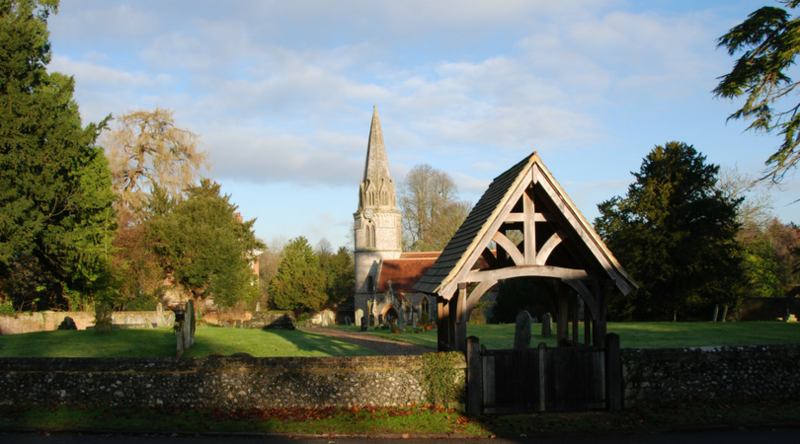 Welford Parish has two Churches within the West Downland Benefice. Seasonal services: Refer to the News Blog. 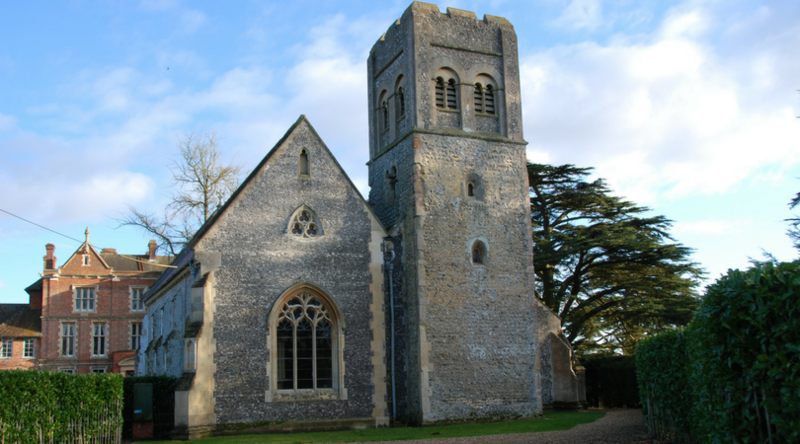 ​The Welford Parish Church is dedicated to St. Gregory the Great. The Church as you see today was built in 1852, but there has been a church on this site for well over 1000 years and was mentioned in the Domesday Book of 1087. Regular Service: First Sunday of the Month at 11am. Holy Communion BCP Service: Second Sunday of the Month at 11am. The Chapel stands on the site of a Roman Camp and was widely restored by William Nicholson during the last century, although the Tower was almost untouched during this work. The Tower, which is the oldest in Berkshire, was originally built as a watch and beacon tower. To contact the present vicar, Reverend John Townend, find his details here. ​After several years of fundraising and building work, the play area and Multi-Use Games Area project was completed in February 2017. The area is a huge benefit to the school and parish children alike. It provides a wonderful, all-year-round, ball games area with goals and line markings for various ball sports. It can be found in the playing fields just behind the Wickham & Welford Primary School. Thank you to all those to donated time and money to the project, it has been a great success and will benefit the younger generations for years to come. Welford Park is a wonderful private home which opens its gardens in Spring to share its magnificent collection of Snowdrops – believed to have originally been planted by Norman Monks. For 2017 the Park is Open from Wednesday 1st February to Sunday 5th March – Wednesday to Sunday from 11am with last entry at 4pm, closed Monday and Tuesdays. To compliment your walk perfectly the Old Laundry Tea Room is open during the Snowdrop opening times. They serve tea, coffee, cake and hot lunches complete with their own farm reared Pork. Further details and the online shop (gifts and farm reared Pork) can be found here or you can phone them on 01488 608691. The Thamesdown X20, Newbury to Marlborough Bus, travels the A4 stopping at Halfway on a Tuesday. You can find the latest information on that service here. West Berkshire Council also run a Connect Service stopping at Boxford - Service 5, 5a & 5c, the latest timetable can be found here. To find out more about this service visit here. The Mobile Library Service visits the Parish every three weeks, stopping at Mant Close in Wickham. ​The Lambourn Valley Flood Forum was set up following the flooding issues along the valley in July 2007. Along the valley some Parishes were affected by the River Lambourn breaking its banks but others like Welford (the School and the Church) and some cases in Weston (Weston Farm) were by surface water not being able to drain fast enough. The flood forum reviews measures for both instances and is currently focussing efforts on a Bypass Flood Alleviation Scheme in Shefford, due to the Environmental Agency procedure it will be 3 years for any scheme will be implemented, but discussions on the three options are being held. A modern version of ‘sandbags’ has been developed and is available from a company called Floodsax. If you would like further details on these or the Flood Forum please contact David Hunt on 01488 608300. David Hunt is the local neighbourhood watch coordinator. David sends out monthly neighbourhood watch updates all of which go onto our news page . If you'd like to join the group please contact David on 01488 608300.